The Impatient Crafter : It's Monday! Yay! My dear friend Ben Sander a.k.a. 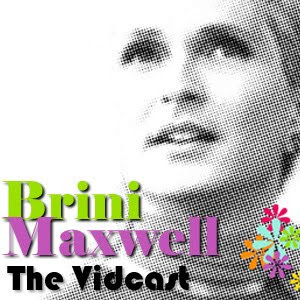 Brini Maxwell invited me up to NYC recently to shoot two videos together. The first one is up on Brini's website! We had a delightful time decorating Holiday Balls with Brini's best friend Mary Ellen. Yay! Plus Brini's balls are beyond the beyond! No, seriously. Don't forget our newly retooled Crafty Cabaret Caribbean Cruise! It's so absurdly affordable! You're going to enjoy a delightfully entertaining cabaret show, two fabulous classes, cocktail parties, generous swag bags AND two full days in the Bahamas. Plus I'm quite sure the company will be craftacular! What more could a gal or a guy want?! I spent most of the day yesterday cleaning the downstairs of this old school house for our holiday party next week. We started a holiday tradition three years ago of having an annual cookie decorating event and it's been a blast. The first year we'd not even started renovating, the second we got our walls and cabinets painted and this year...finally...we've got our floor down and a simply stunning backsplash. We have a very, very small budget for home improvement and we have to be frugal. My job is to find something fabulous that will work and not make me feel like I had to settle for something sucky. We found some really pretty floating floor tile that looks like slate and is a breeze to clean up. Yesterday we went to Home Depot to pick out a kitchen back splash and after reviewing our options, I discovered these pretty striated clear and copper glass tiles on a mesh background. They were incredibly affordable and it was really easy for Drew to install them, he even got out the glass cutter to fit tiles into the edges and corners. We didn't even have to remove the drywall background that was covered in scrumpy glue bits for the past year. Woo hoo! Just a little scraping and sanding and...ready to roll! We had to let the tile set overnight and tonight we'll do the grout in a rusty nutmeg color. Once it's finished, dried and cleaned, I'll share some pics. It's really gorgeous already and I'm so, so glad. I chose wildly vibrant colors for the walls and cabinets...as you can see here in last year's post. I've grounded it all with dark brown, copper and rust elements. It works surprisingly well. I am buried in design work and fresh out of elves, so I must away! Until tomorrow...craft on with your bad selves. Sounds like tons o' fun...Madge style! I love that tile...I am proposing something similar for my new kitchen. Good to know that it is easy to install. And I read the post you linked to about last year...and this line just jumps out at me..."Jewelry should bedeck and adorn you in such a way that it intensifies the best aspects of your personality and your beauty." I couldn't say it better myself. That necklace is exactly what I would choose to wear if I could. All holiday bliss and blessings to you and yours, Miss Madge! Sounds really cool and fun, I hope my fiance Tom is that handy, crossing my fingers! We have much work to do in his house and I have permission to have fun, hee,hee...poor guy!